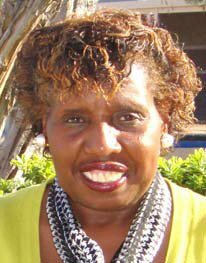 In November 2011 Loretta Harper was awarded All Star of the Week for her dedication to the Obama Campaign. Today Loretta Harper of Las Vegas was named a national co-chair of the Obama 2012 Campaign. The Obama campaign appreciates her hard work. Part of that work includes giving high school students credits for volunteering for democrat campaigns. No word on if Harper, who makes $74,000 a year plus benefits, plans to expand outreach “efforts” like this nationwide now that she’s a co-chair of Obama’s re-election campaign, but if you’ve got “free labor” available, why not take advantage? As Write on Nevada clarified in their post, Harper gave students credit not extra credit for volunteering for democrats.